Does Your Garage Door Need Weatherstripping? Outfitting your garage door with weatherstripping can lower your heating and cooling costs, prevent damage to the door and guard against unwanted moisture. Is the seal surrounding your garage door beginning to break down? You may need to replace the weatherstripping along the top, sides and bottom of the doors to improve insulation and gain additional benefits. A gap between the bottom of the garage door and the driveway can allow dirt to blow into your garage. During bad weather, rain, snow and ice could come into the garage and potentially damage your possessions and tools. Also, rodents and insects only need a small gap to make their way into the garage and nest, creating an infestation problem. Weatherstripping seals out moisture, cold or hot air and unwanted creatures, creating a more temperate, comfortable environment within the garage. You will be able to safely store valuable tools without worrying about rust, and you can store food without a concern for rummaging rodents. 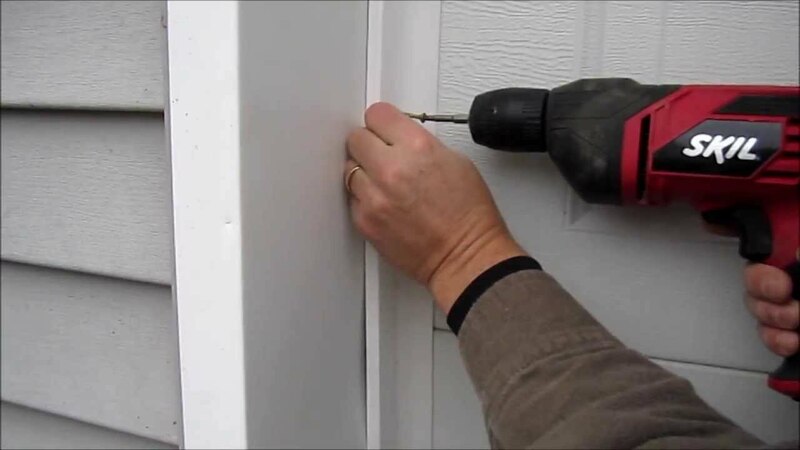 While it is advisable to seal the door connecting the garage to the main living area of the house as well, properly installed weatherstripping around the exterior garage doors can greatly reduce the risk of lost energy. Additionally, the bottom of the garage door will not scrape against the concrete or pavement, helping to prevent premature wear of both the door and the floor. The cost of installing or replacing weatherstripping is low, especially when compared to the long-term benefits it provides. One of the most common types of seal for the top and sides of a garage door is PVC stop molding. Ideally, a garage door would line up perfectly within the wood frame and leave no gaps when fully closed. In reality, the door is not always flush with the entire outline of the frame. PVC stop molding is installed on the edges of the frame and it bridges the gap between the door and the wood, completing the seal in the enclosure. Other products provide the same benefits, such as vinyl flaps installed on the sides and top of the garage door. Most doors are equipped with aluminum retaining tracks on the bottom which allow rubber, brush or vinyl strips to slide into place and in some cases are fully fastened with screws. Homeowners are able to unfasten and slide the strips out when a replacement is needed. Still other types of seals are nailed directly into the base of the door as a more permanent fixture. All types of seals can wear down over time, especially if you live in a climate with heavy precipitation and temperature extremes. While some garage door weather stripping allows for you to tackle replacing seals on your own, it is best to obtain a professional opinion before making alterations to your current set of seals. Talk to the professionals at Accent Garage Doors to schedule an assessment of your current garage door weather stripping and find out more information about which products can best protect against moisture, extreme temperatures and invading creatures.